I grew up outside of Washington, DC, before spending over four years after college in the DC area. I now live in Brooklyn. Yet despite this proximity to the City of Brotherly Love, I've only been to Philadelphia once! 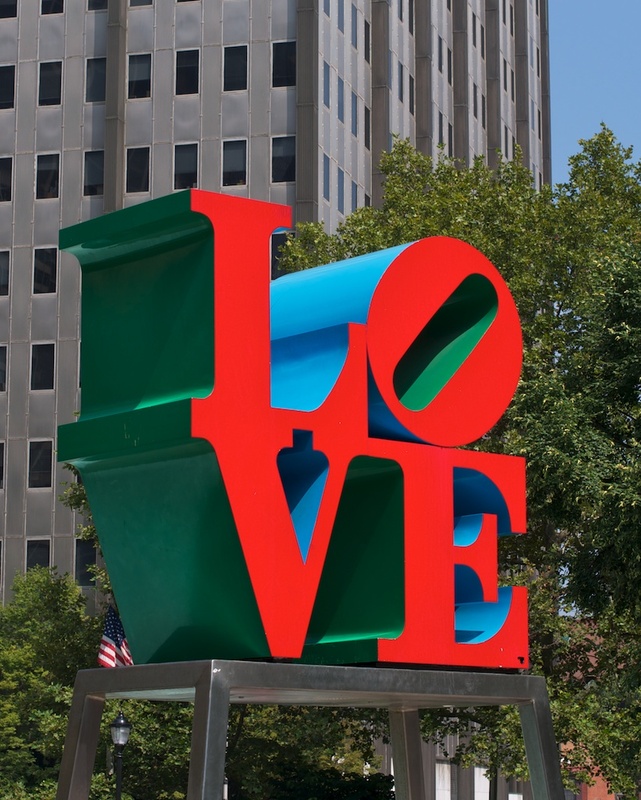 My family visited the city when I was in middle school: I remember taking a purple hop-on, hop-off van around the city, touring Independence Hall and running up the infamous steps of the Philadelphia Art Museum. I've been salivating over food photographer Jason Varney's site, Fussing with Forks, for several months now. A professional photographer based in Philadelphia, Varney photographs Philadelphia's up-and-coming and innovative restaurants. His pictures reveal Philadelphia's unique food culture. Using his photographs as a starting point, I trained down to Phillie on Friday to meet up with my friend Catherine. 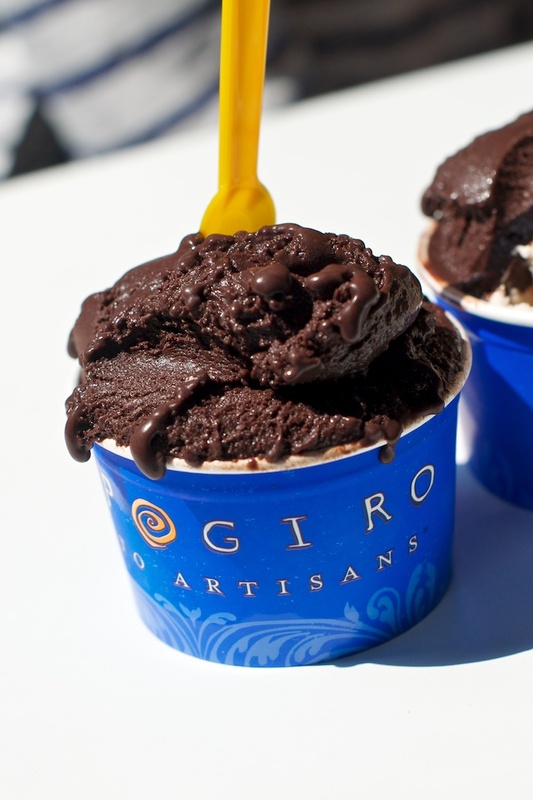 She's now a Baltimore resident, making Philadelphia the perfect middle ground for a day visit! 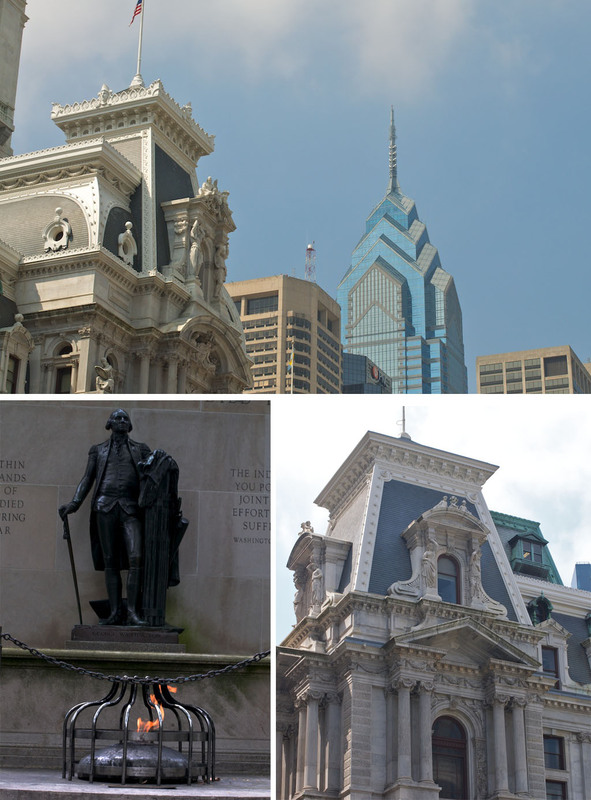 We spent the day catching up and exploring Philadelphia's Center City. 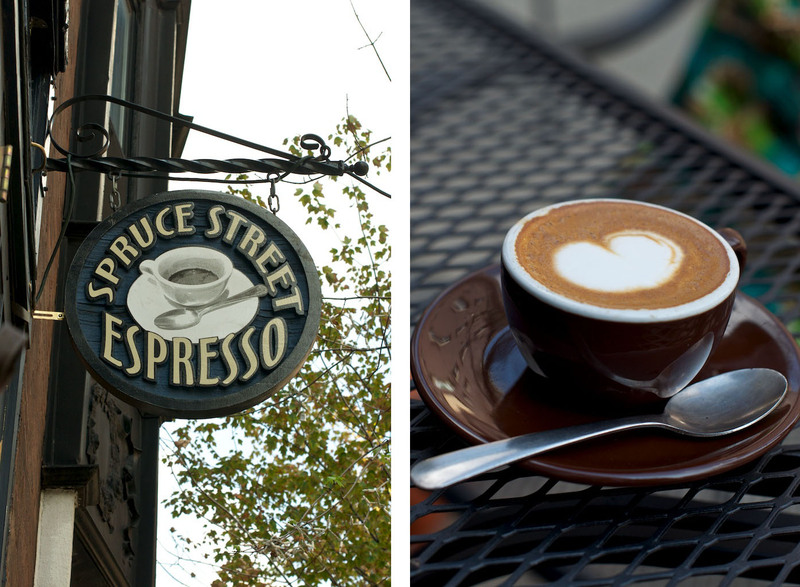 We were equally charmed by the cobblestone and the revitalized streets, specifically the areas near Spruce Street and Washington Square. We spent our day eating (is there any other way to travel?). 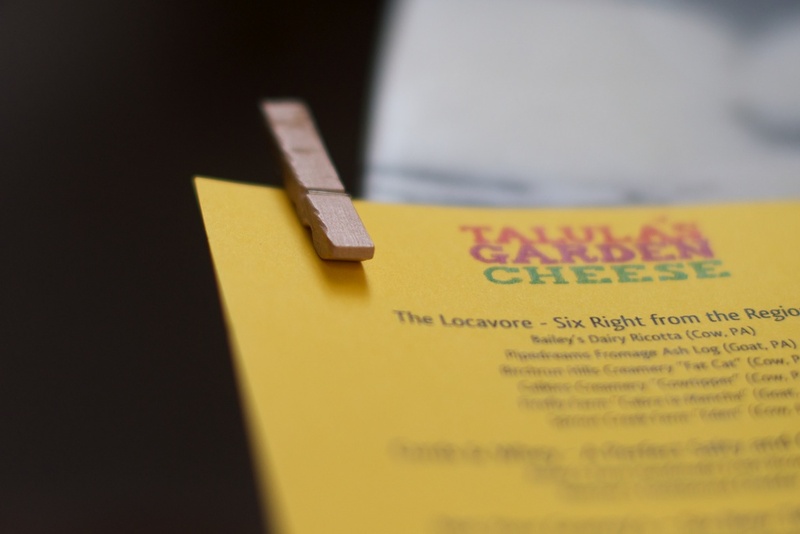 Highlights included wandering the Reading Terminal Market, devouring the antipasti plate at Barbuzzo, quickly eating melting gelato at Capogiro, enjoying coffee at Spruce Street Espresso, and dining in the delightful courtyard of Talula's Garden. 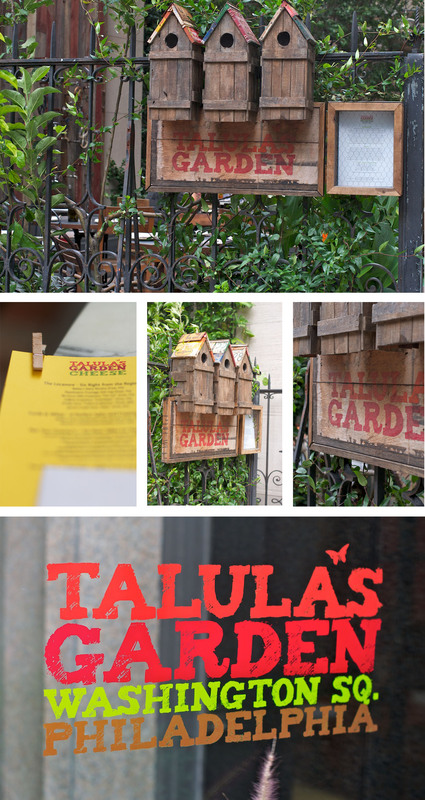 Talula's Garden was recently named one of the best new restaurants in the country by Bon Appetit. After our dinner I can easily understand this honor: the restaurant focuses on simple preparations of seasonal food and its waitstaff is both passionate and knowledgeable. Our food and interactions were stellar. In fact, the only negative of the night was that the picture the waiter took of us wasn't in focus! I thoroughly enjoyed my day in Philadelphia; in fact, I'm already anticipating a day trip back for a future photographic exploration of Reading Terminal Market.